Welcome To Bonnes Amies! : What Time Is It??? 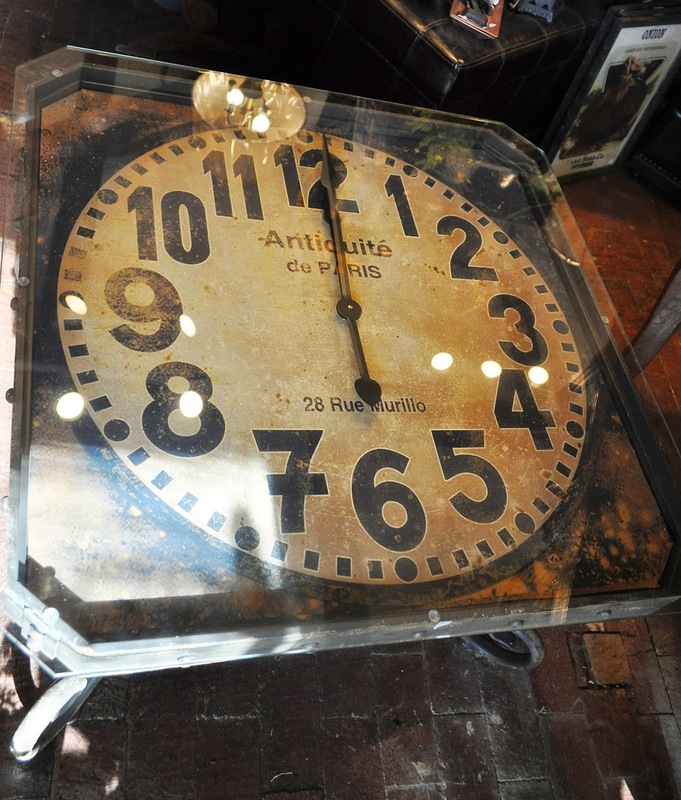 This is one spiffy coffee table with a large vintage-style clock face that is distressed and old-looking with a glass top and curved rusty metal legs. Would be a great & unique piece in your living room or library…we just have one it will go fast! $358.00 34" x 34"